Mark Zuckerberg opened up on Facebook's participation in a probe involving Russians who allegedly interfered in the previous US presidential election, a week after the FBI accused 12 Russian spies of hacking the Democratic Party. Mark Zuckerberg, the billionaire CEO and founder of Facebook, has echoed allegations by America's intelligence community, claiming that Russia attempted to meddle in the US presidential election in 2016. 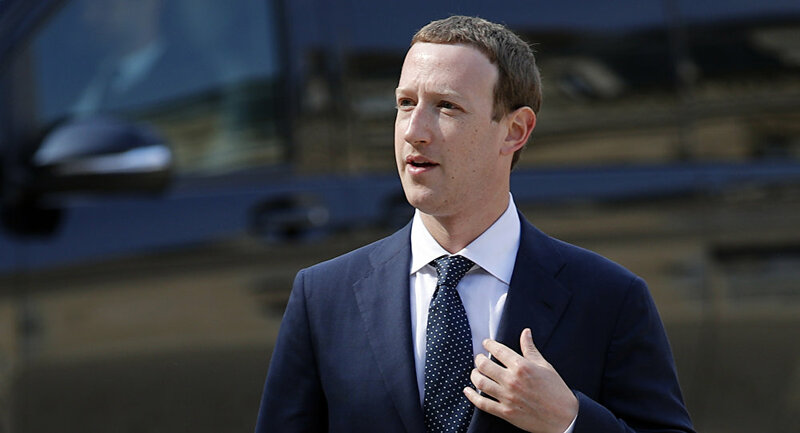 "The evidence that we've seen is quite clear, that the Russians did try to interfere with the election," Zuckerberg said in an interview with Recode tech news website. He claimed that Facebook had found out about Russian hackers before the election. In mid-2015, the company identified what he called a "Russian hacking group, part of Russian military intelligence," referred to as APT28, more commonly known as Fancy Bears. "They were trying to do more traditional methods of hacking: Phishing people's accounts, just getting access to people's accounts that way." According to Zuckerberg, Facebook became aware of "similar activity" during the 2016 presidential campaign in which hackers tried to phish accounts of both Democrats and Republicans. Around the time of the election, the Facebook boss said, his company informed the FBI about the alleged hackers. Zuckerberg believes that he can take credit for what is said to be progress in the FBI investigation. "You could see that in the indictments that Mueller just issued over the last week or so. That's the part that I actually think we got, and were on top of." It took Facebook more time to identify another group that allegedly meddled in the election, which Zuckerberg called IRA, the Internet Research Agency. The group "basically was just setting up a network of fake accounts," in a bid to spread "divisive information." This statement comes just a week after FBI investigators, led by Special Counsel Robert Mueller, accused 12 Russian military officers of interfering in the 2016 vote. Charges include creating fake online accounts, conspiring to hack organizations involved in administering elections, hacking Democrats and using malware to steal personal data. I’m the Reporter Mentioned in Mueller’s Indictment. Why Hasn’t He Spoken to Me? Some 32 people have been indicted ever since Special Counsel Mueller launched the ongoing investigation into whether Donald Trump's campaign colluded with Russian intelligence officers amid claims that Russia tried to sway the presidential vote. Both Donald Trump and the Kremlin have repeatedly denied the allegations; at Monday's joint press conference with Trump in Helsinki, Russian President Putin called to be guided by actual facts rather than rumors and offered to let Robert Mueller's team into Russia to interrogate the alleged hackers. US Reportedly Hunts for Foreign Meddling Behind "Acoustic Embassy Attacks"